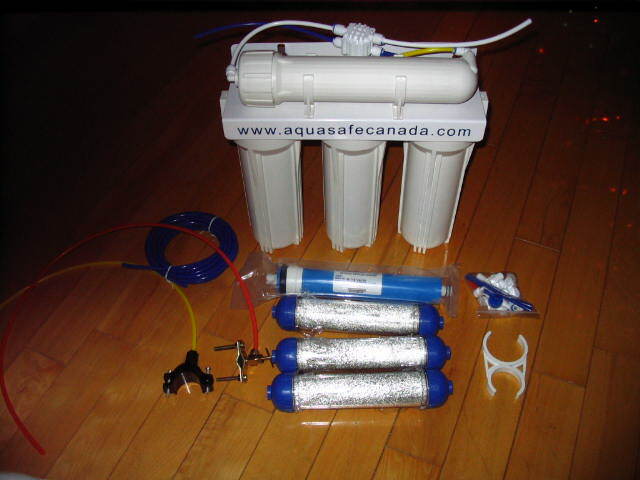 Can someone point out where to get the installation manual for this Aquasafe canada RODI unit. It didn't have intruction and the web link for the unit is no longer valid. I also woul dneed help in tknowing what that parts are that came with the unit. I have a printed copy. If you can't find a soft copy anywhere, I can scan it for you... just it'll have to be next week sometime. If you could please scan me a copy and e-mail it to me that would be great. I have some pictures but not very clear for this model. Are you looking for assistance with installing it Gaston? Do you have a camera or webcam? No, the installation is not the issue it's the parts involved, I don't know what part is for what. I know I can install it but knowing what part get's gonnected to what is the issue. I three blue canisters with looks like sand, with holes at either end, a blue membrane that I beleive goes into the tube on the top with yellow and blue lines comming from one end. all the pictures i have show that I should have a holding tank and dispenser to the tap water. I don't have all the peices, but I have ordered the tap and TDS meter. No, the installation is not the issue it's the parts involved, I don't know what part is for what. No, the installation is not the issue it's the parts involved, I don't know what part is for what. I know I can install it but knowing what part get's gonnected to what is the issue. If you look at my picture of what I received, what is the DI filter. 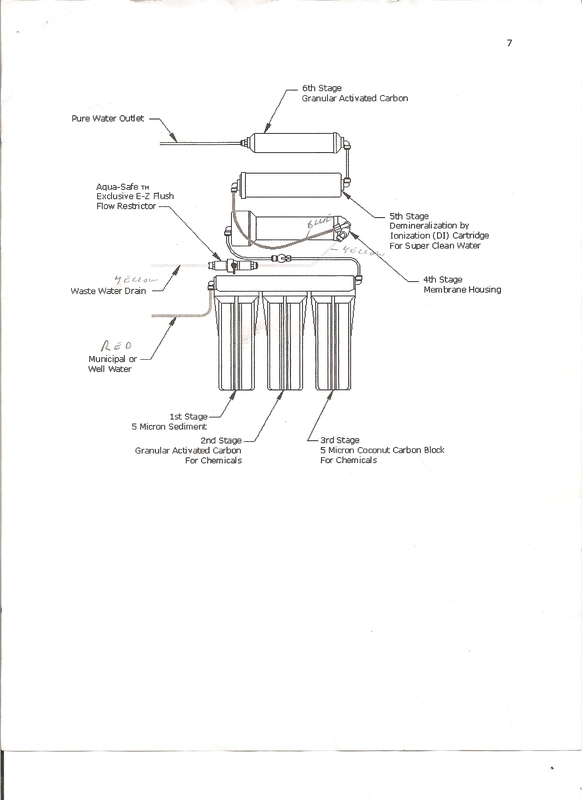 Yes that website really helped me out but just confused about the Di filter and the three blue tubes I have. I really new to this stuff. 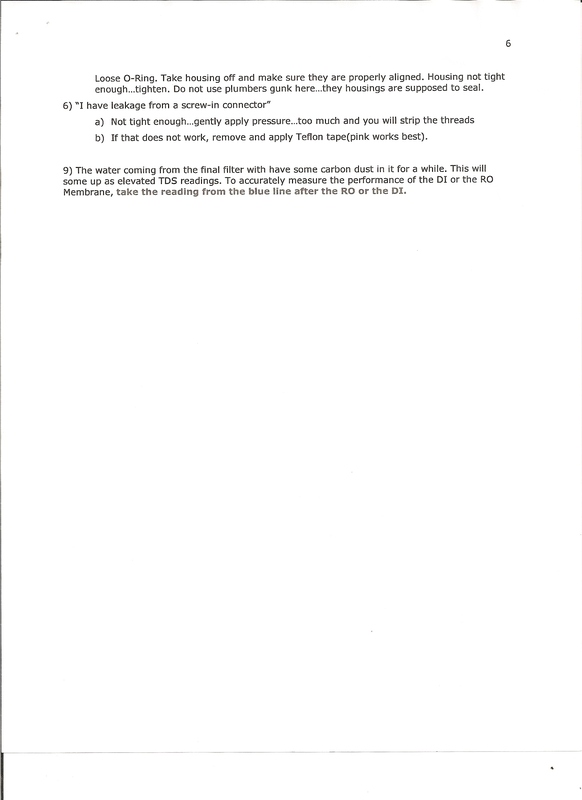 Try this zip file, if it is not visible, send me your email address. Not working, but maybe able to fit a few in here.